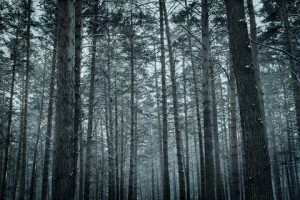 Home » Air Pollution » Can Pine forests limit climate change? In the Journal Nature, Scientists have recently published data which reveal a link between the characteristic pine smell from boreal pine forests and climate change. New research has found a mechanism by which the scented pine smells are turned into aerosols above the pine forests. The effect of the aerosols is that they block sunlight and reflect rays back into space; promoting cooling, and in turn helping clouds to form. It has been known for a long while that the smell of pine forests is made up of volatile organic compounds, which react with the oxygen in the atmosphere to form these aerosols. However, scientists have now found ultra-low volatile organic vapours in the air that irreversibly condense on the surface of any particle they meet. The irreversibility of these compounds and their ability to attach onto any other particle helps them grow in size and become aerosols, according to Dr Joel Thornton from the University of Washington. “In a warmer world, photosynthesis will become faster with rising CO2, which will lead to more vegetation and more emissions of these vapours. This should produce more cloud droplets and this should then have a cooling impact, it should be a damping effect. The reason for the discovery is that before now there was no instrument to detect these ultra-low volatile compounds.